"You can do this. You'll get through this". These words, gently spoken to me by my oncologist, Dr WW, when I was first diagnosed in 2004 and facing the prospect of life-altering surgeries and a debilitating chemotherapy and treatment regimen. And DrWW has continued to utter these words as a way of coaxing me through, each time we have another crisis, and each time we stare down yet another frightening round of scans and changes in chemotherapy treatment. What's interesting to me, is that for some reason, this simple mantra of "I can do this", has stayed with me and has really sustained me even through the most difficult of times. I continue to be truly amazed by what the human body and psyche is able to endure in the face of medical catastrophe. And whilst many people are quick to label this kind of coping mechanism as brave, or having a fighting spirit or simply strength of character, to me it's just getting through a horrendous experience the best way I know how. There's nothing brave about it. It just is what it is. And wouldn't everybody do the same if they were in my shoes? You just do it, and you get through it. Somehow. In dealing with my own cancer nightmare, I have become a voracious reader of all things breast cancer. 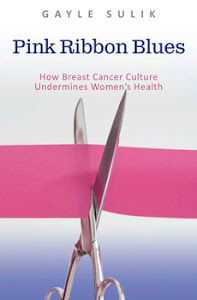 I've been particularly interested in the history of breast cancer, and recently read an absorbing book by James S.Olson, entitled Bathsheba's Breast: Women Cancer and History. After finishing this book, I was struck by two things. Firstly, by how long the world has known about breast cancer, apparently since ancient Egyptian times, and yet how little we still know about breast cancer, even today. And secondly, I was completely moved by the horrifying ordeals that women have endured, and continue to endure, in dealing with the disease itself and the treatments inflicted on them by the medical establishment of the particular time. Indeed, their stories are traumatic and unbearably gruesome to the reader, but in the end they remind us of the lengths women have always been prepared to go to in the hope for a cure from this terrible disease. 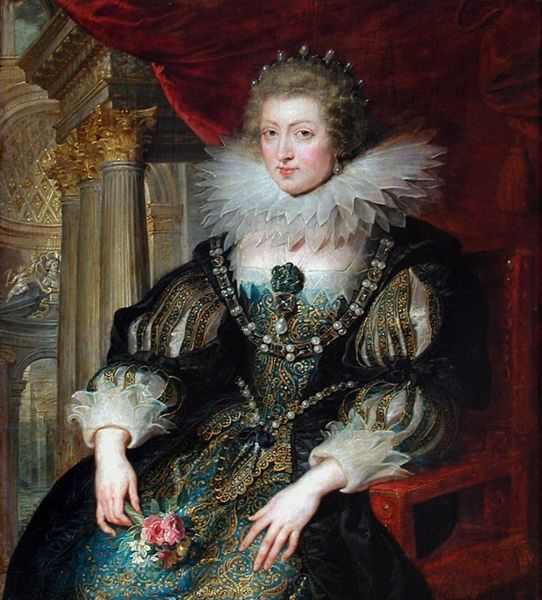 Consider Anne of Austria, the wife of Louis XIII, who died of breast cancer in 1666 in France, at the age of sixty-five years old. 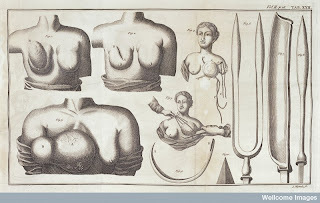 She had first noticed a lump in her breast in 1663, but chose to ignore it, probably to avoid the ghastly and daunting breast cancer treatment options of that time which included surgical excisions, bleedings and purging of the supposed cancer-causing black bile which was part of the popular Humoral medical theory of the day. In 1664, after the pain of the tumor became intolerable and she became sicker, Anne consulted her physicians. The doctors realized that surgery was not possible as the tumor had spread to under her arm, and so they began a series of treatments designed to keep her alive. 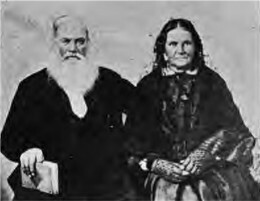 Bleedings, daily enemas, purges, herbal poultices and even daily surgical removal of necrotic tissue became Anne's reality. But it was all to no avail and after her punishing ordeal, Anne passed away in 1666. 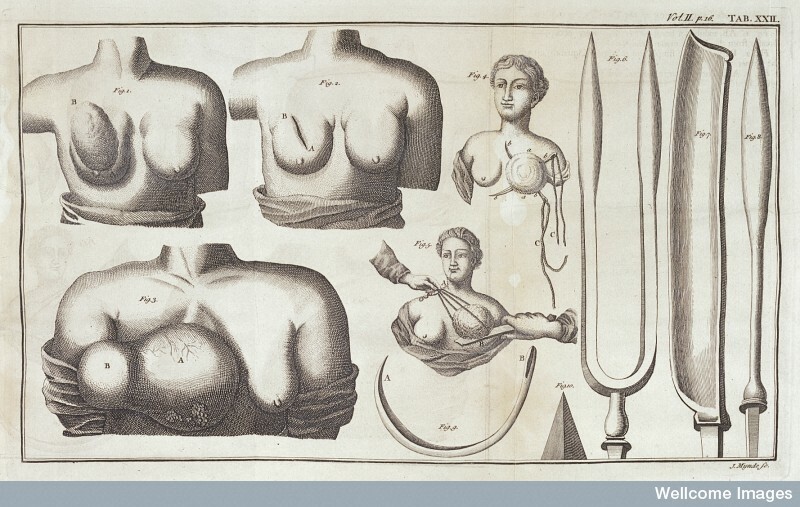 By the 18th-century, Humoral medical theories of breast cancer were largely abandoned, with the mastectomy becoming the preferred method of treatment by physicians of the time. 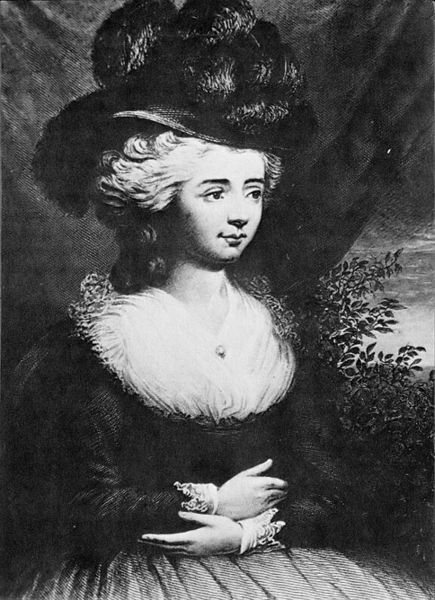 In 1811, the Victorian novelist Fanny Burney, described in a letter, her experience of a mastectomy without anesthetic or proper sterilization procedures. It's a harrowing account, and is recounted in full in the attached link, however this excerpt is wholly descriptive of the agony endured by Madam Burney. My dearest Esther, - & all my dears to whom she communicates this doleful ditty, will rejoice to hear that this resolution once taken, was firmly adhered to, in defiance of a terror that surpasses all description, & the most torturing pain. Yet - when the dreadful steel was plunged into the breast - cutting through veins - arteries - flesh - nerves - I needed no injunctions not to restrain my cries. I began a scream that lasted unintermittingly during the whole time of the incision - & I almost marvel that it rings not in my Ears still! so excruciating was the agony. When the wound was made, & the instrument was withdrawn, the pain seemed undiminished, for the air that suddenly rushed into those delicate parts felt like a mass of minute but sharp & forked poniards, that were tearing the edges of the wound - but when again I felt the instrument - describing a curve - cutting against the grain, if I may so say, while the flesh resisted in a manner so forcible as to oppose & tire the hand of the operator, who was forced to change from the right to the left - then, indeed, I thought I must have expired. "....This remedy is the knife. From her account of the moving state of tumor, it is now in a proper situation for the operation. Should she wait till it suppurates or even inflames much, it may be too late....I repeat again, let there be no delay in flying to the knife." Ultimately a surgeon, by the name of John Warren of Boston, operated on Nabby in the upstairs bedroom of the Adams' house. His kit of surgical tools included a large fork with two six-inch prongs sharpened to a needle point, a wooden-handled razor, a pile of compress bandages, with a small oven of red-hot coals which heated a flat, thick heavy iron spatula. 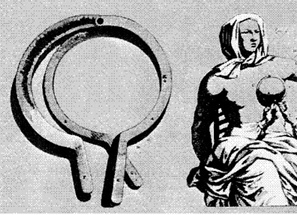 ".....Warren then straddled Nabby's knees, leaned over her semireclined body and went to work....."
A full account of the operation, again performed without anesthesia or sterile conditions, Nabby's recovery, and then her eventual demise from the disease in 1813 at the age of forty-eight, is available in essay form, from James S. Olson's book in the attached link. "Then came a gash long and deep, first on the side of my breast, then on the other. Deep sickness seized me, and deprived me of my breakfast. This was followed by extreme faintness. My sufferings were no longer local. There was a general feeling of agony throughout the whole operation." Reading these women's stories, reminds us of the resilience of women even in the most dire of circumstances and there's something in this that I connect with in trying to come to terms with my own breast cancer treatment. No matter how bad things seem for me at times, it's almost unimaginable to think of the sheer terror and horror that each of the women featured in this post must have gone through. And yet somehow they found the fortitude to stare down the beast and suffer and endure the most indescribable indignities in seeking a cure for their disease. What I find even more interesting about Fanny and Lucy's cases, is that they wrote about their experiences in a time when breast cancer was considered shameful, something to be hidden and most certainly not discussed outside of the immediate family. "The “terrible stories” of which Clifton speaks reveal the power of story-telling especially when confronting challenging life experiences. The narratives, necessary and terrifying, are a way of communicating, finding connection, and giving voice to private, deeply felt experiences." Unable to speak freely about their experiences, perhaps Fanny and Lucy found solace in their letter-writing, and were able to find a way to connect with what had happened to them. In all likelihood, writing was their only means of support in trying to heal from the great traumas their minds and bodies had gone through. In many respects, this is no different to the reasons that we blog about our own cancer experiences today. In reading and digesting these women's stories, what shone through for me, was the spirit possessed by these women in facing their terrifying surgeries and treatments. It's a spirit that I think many women possess. It's not necessarily bravery, or courage or saint-like strength. But more of a spirit of "can-do". I think it's the same spirit that gets me through. And perhaps this is what my oncologist is trying to tap into when she tells me that "I can do this and that I will get through it". It's this can-do spirit, shared by so many women and reflected in so many stories, past and present, of famous women and ordinary women alike, that I find so inspiring and motivating. 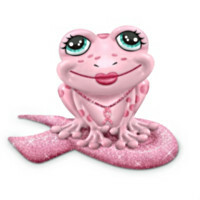 In the cancer culture, we continue to embody the spirit of can-do women everyday, probably without even realizing it. Sarah Horton of Being Sarah, a published author and dedicated breast cancer activist in the U.K; Gudrun Kemper of Breast Cancer Action Germany, an independent voice for German women affected by breast cancer in a cancer culture dominated by pharmaceutical corporations; Gayle Sulik, author of Pink Ribbon Blues, asking the tough questions of the U.S. breast cancer movement; Jody Shoger of Women With Cancer, a tireless cancer advocate who's harnessed the power of Twitter (@jodyms) to keep us informed of the cancer-world news; Chemobabe, Katie at Uneasy Pink, Kathi of The Accidental Amazon, Stacey of Brining Up Goliath, Nancy of Nancy's Point, Brenda of Breast Cancer Sisterhood, Marie of Journeying Beyond Breast Cancer, Sarah at The Carcinista; are but a few more of the wonderful community of can-do women bloggers doing their bit to keep the fires burning and the spotlight on the realities of lives interrupted and challenged by a cancer diagnosis. We continue to share, we continue to write and we continue to just keep doing what we do. Why? Because we can do it ! I will continue to write The Cancer Culture Chronicles with the same energy and attitude as before, but the Can-Do Women blog will fulfill an avid interest that I have in women's social history, and a desire to expand my writing interests beyond the cancer realm. I hope that it will become an interactive magazine-style blog, in which we can all share something about the Can-Do Women that we encounter from the past, present and in our everyday lives. Please do let me know what you think, and your suggestions for features will be most welcome. Features may take any form; stories, photographs, poetry, articles, interviews, pictures, advertisements, recipes, videos, snippets of everyday life, the form is really unlimited. You can email me at candowomen@gmail.com or connect via the Can-Do Women Facebook page. Please join the conversation. You are most welcome. Anna, This is really quite an amazing well-researched post. It make me stop and appreciate what our sisters before us endured, and as you said, many times in secrecy and shame. It's unimaginable. I highly recommend the HBO "John Adams" mini series from a couple years ago which does include the heart breakingly difficult to watch mastectomy of Nabby Adams. I watched it before my diagnosis, not sure if I even could watch it now. It is also a gripping scene because it depicted her mother and father helplessly listening in the next room. 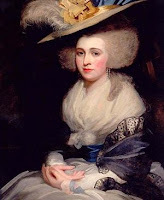 Also, Abigal Adams is a perfect example of one of those "Can Do" women. Anyway, good luck with your new writing venture. I have one of my own cooking. Glad to hear you are continuing with the Cancer Chronicles too!! When things settle down around here, I'll be sure to check it out. Thanks, too, for mentioning nancyspoint!! I agree, too, cancer people aren't brave, we just do what we must. Great post! Anna, great post. Fascinating, all of it. Even in my worst moments, I'm thankful how much things have changed and you've summed it up so beautifully. Thank you for grouping me in with such amazing women. As you, I just do what I need to do to get through it all and if we can help each other along way, we're all better off. Thank you for sharing your insightful take on all this and for being a great inspiration to me. Anna - great post. And sad to reflect that we've known about breast cancer for so long, and still no so little really about it. 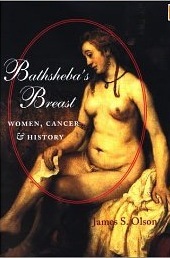 (Bathsheba's Breast is on my reading list now). "There's nothing brave about it. It just is what it is. And wouldn't everybody do the same if they were in my shoes? You just do it, and you get through it. Somehow." Thanks for the mention too. 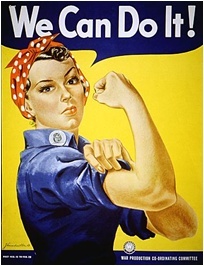 And it's 'funny' because one of my favourite images is Rosie the Riveter saying 'We can do it' and I have the sign on my allotment shed! Your new project is great, look forward to contributing to that, may the conversation begin... can-do gardening? Excellent post! I am reading the Emperor of Maladies now and am equally horrified by the lack of understanding and the disfiguring operations performed on women over the centuries. I'm going to link to this. It is an amazing piece of work. Dear all....thanks for your comments ! You see what happens when you get snowed in for a week. But seriously, I'm very excited about this new project, but I'm equally excited to continue with The Cancer Culture Chronicles. Without it, I would never have met such marvelous Can-Do Women in the first place. I'm honored to be included in your list of such amazing writers. Can't wait to see what Can-Do Women can do! Thanks for all that YOU do. Moving Forward. Hopefully In A Red Karmann Ghia. If a charity's mission is to CURE a disease, what should be it's TOP priority in spending the donations it receives? Images on this site are used for the express purposes of commentary and criticism under the fair use doctrine. Copyright © 2009, 2010, 2011, 2012 by The Cancer Culture Chronicles. Simple theme. Powered by Blogger.